Many people would say that looks are not important. 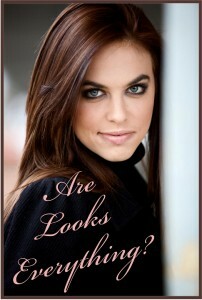 Most people spend more time evaluating looks than they might think, but is it important? Have you ever wondered how a certain guy ended up with a certain beautiful woman? On the other hand, companies spend millions of dollars each year to research how to make packaging for their products more attractive. So are looks really important, or not? Before you judge your looks, not including grooming and hygiene, let me say God created you just as you look, unless you didn’t like His taste and changed something. I want to give you three ways God says you can change the way you look. Change the way you look forward. Are you worried about something in the future? Do you have anything to look forward to? When you have lost hope it may seem useless to look forward. God has wonderful plans for you even when you don’t have them for yourself. Surely there is a future, And your hope will not be cut off. Don’t envy evil men but continue to reverence the Lord all the time, for surely you have a wonderful future ahead of you. There is hope for you yet! When the past seems irreparable, the future does not appear irresistible. The sense of failure seems always to corrupt perception of the future. If allowed, the past will constrain your actions until failure repeats itself. For this reason it is important to change the way we look back. Some may think if only things were the way they used to be, if only I could go back. Things are not generally as great as we romanticize them. The people of Israel wanted to go back to the past, and it was foolish. Then all the people began weeping aloud, and they carried on all night. Their voices rose in a great chorus of complaint against Moses and Aaron. We wish we had died in Egypt,” they wailed, “or even here in the wilderness, rather than be taken into this country ahead of us. Jehovah will kill us there, and our wives and little ones will become slaves. Let’s get out of here and return to Egypt!” The idea swept the camp. “Let’s elect a leader to take us back to Egypt!” they shouted. The Bible is full of contrasting stories about how people looked at the past. There are also stories where people gained encouragement from looking to the past. Isaiah wrote that we should remember all the good things God has done in the past and not doubt Him for the future. Remember the things I have done in the past. For I alone am God! I am God, and there is none like me. Only I can tell you the future before it even happens. Everything I plan will come to pass, for I do whatever I wish. The only way we can keep the future and the past in proper perspective is to look up. Looking around at the things in this earth will never bring lasting peace. We have to keep our focus on Jesus Christ who is our fortress and our deliverer. When it comes to finding peace in troubled times, looks are everything. Where are you looking for this peace? Everybody lives by some form of faith. Many people have more faith in themselves, their job, or the government (other people) for example, than they do in God. The difference between the Christian and the unconverted individual is not if they have faith, but where is their faith. The subject of faith can be a difficult thing to understand. What hinders God from working in our life is not his lack of power or desire, but our lack of faith. When people place their trust in anything other than God, that thing (or person) becomes an idol. The people of Israel did just that when they turned their back to God instead of their face. Thus says the Lord: “What injustice have your fathers found in Me, That they have gone far from Me, Have followed idols, And have become idolaters? If you place your trust in other things, God may leave you alone to allow those things to meet your needs. That is a choice we all make for ourselves. But where are your gods that you have made for yourselves? Let them arise, If they can save you in the time of your trouble; For according to the number of your cities Are your gods, O Judah. The state of America concerns me when our President states “America is not a Christian nation”. He may change his god, but he does not get an endorsement to change mine. Only I have the power to change where my trust is. What about you? Have you decided to change gods? How can you know you are living by faith? Let me give you a few basic guidelines to check your faith by. First ask yourself if you are making the decision to glorify God or to please yourself. Those two answers may or may not match. If you are asking the Lord to do the impossible, it will bring much more glory to Him when it happens. The next thing has to do with God’s timing. Am I rushing ahead or am I willing to wait? If you can be honest with yourself and say you haven’t got the patients to wait, be cautious. This comes from the fear of being overcome by disappointment, and you make an emotional decision instead of a spiritual one. Always ask yourself if you can defend what you are doing from the Word of God? I see people make comments on social network places like Facebook that do not line up with God’s word, yet they claim He is involved. That is not possible since God will not violate His own word. (Don’t cut me off your social networks now!) Remember that true faith is always found in line with scripture. After you come this far towards making a decision, consider if there is joy and peace within? Don’t skip to this one too fast, or you may be emotionally deceived, the other guidelines must line up first. When you have the heart of God on something, you will have peace available to you. There is hope for you in your situation because He is the God of hope. The peace and joy comes through faith by the power of the Holy Spirit and is not depending on anything else. You will also find giving praise and thanks to God is an important part of God’s peace. This is one of my favorite scriptures and has sustained me through many trials. I pray this will help you to see if you are living by faith or if you have changed your gods, and how you can obtain true peace while you wait on the Lord.